Are you looking for green pasture to let your horse live within a herd of friends? 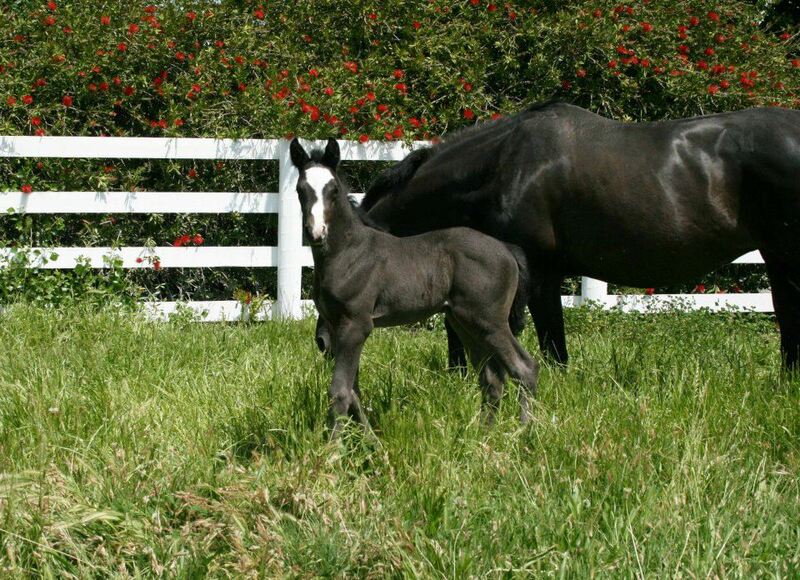 Whether you want a place to let a young horse grow up or to retire your old friend, we provide you with just the right service. 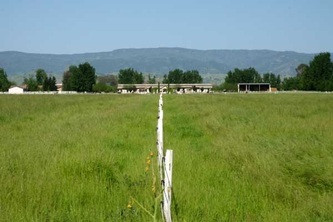 On more than 30 acres of irrigated pastures your horse will find exactly what it needs. Each of our 6 pastures has a sun shelter. 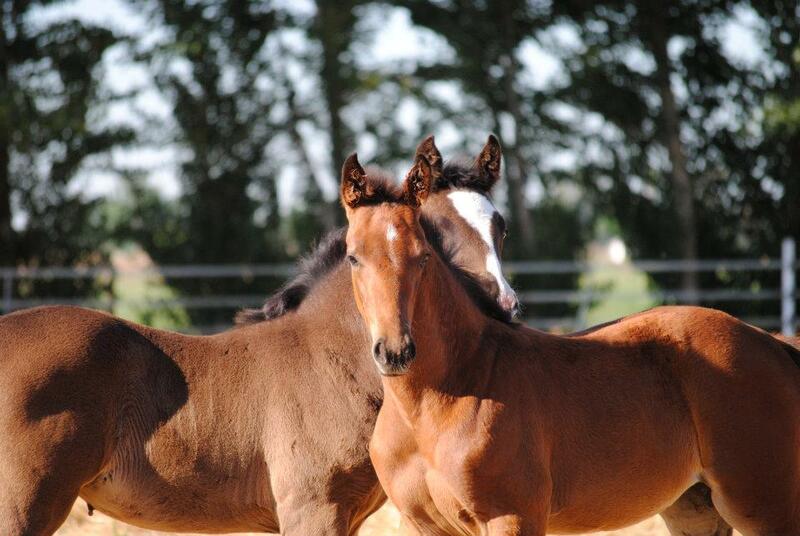 Daily health checks, fly spraying, shoer and vet services are, of course, part of our service. 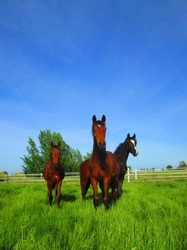 The herds are rotated to new pastures every couple of weeks, ensuring a constant supply of fresh green grass. 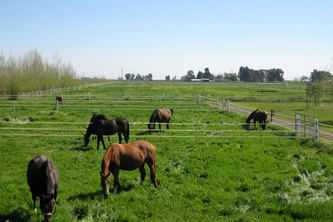 Meanwhile, the unused pastures are being irrigated. We are located on the outskirts of the San Francisco Bay Area. 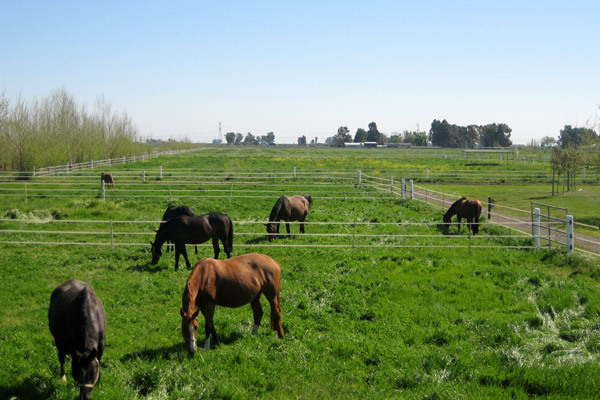 Halfway between Berkeley and Sacramento, we are also just 15 minutes away from the UC Davis Equine hospital, one of the best equine hospitals in the nation. 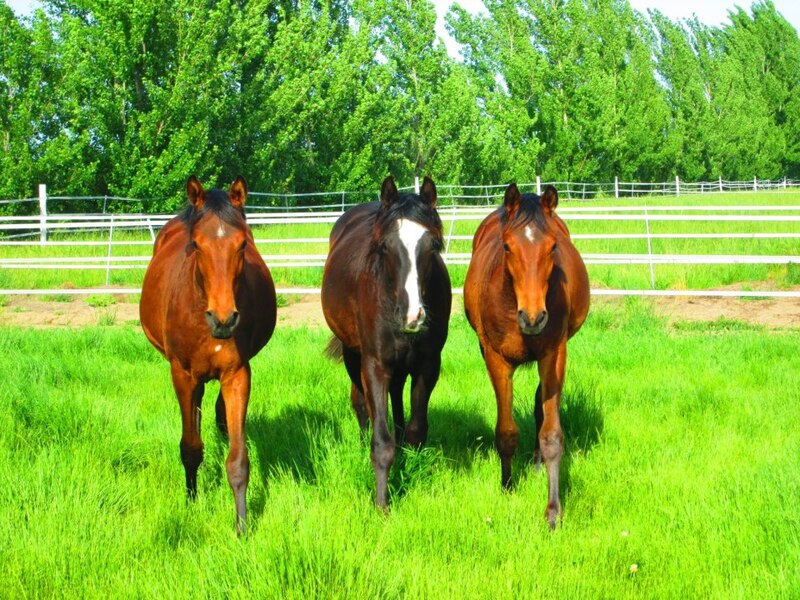 So you can be sure that even in emergencies, your horse will be taken care of correctly. 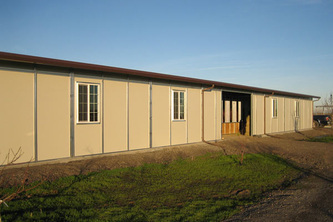 The new barn for our pasture horses provides shelter from wind and rain during the winter months for up to 24 horse. With its 4 run in stalls and large paddocks, the horses are stabled in optimal conditions when the pastures are too wet to be used. 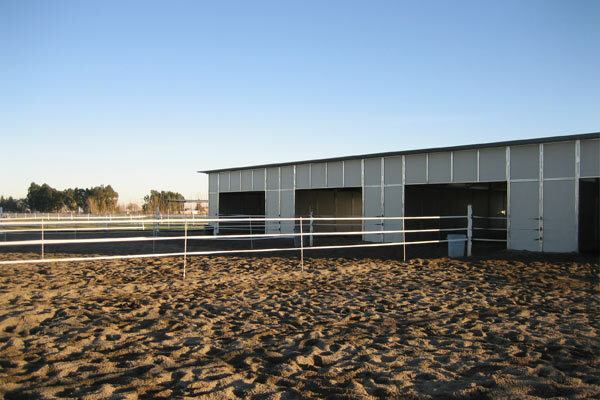 The stalls are 25x 35 feet and provide enough room for the small herds to move around even during rainy days. The horses are fed on the barn aisle and stalls are cleaned once a day, ensuring cleanliness. 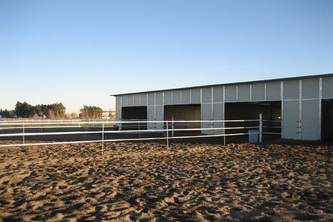 Each of the 4 run-in stalls has a large 30x60 foot paddock, allowing the horses to move around. The sand paddocks dry off quickly during the winter months - there is no mud. 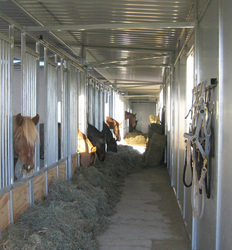 Our new barn for the pasture horses allows the herds to stay together even during the wet winter months. 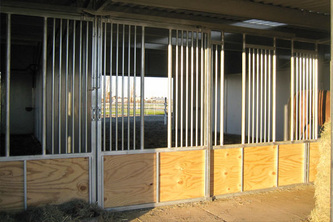 The sophisticated feeding arrangement ensure that each horse receives its food and prevents jealousy.